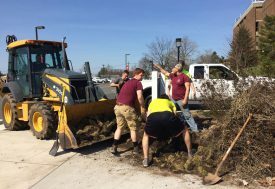 Share the post "Student-Designed IFNH Garden Will Serve as Eye-Catching Living Lab"
Landscape Architecture Planting Design students installing an additional garden at IFNH. 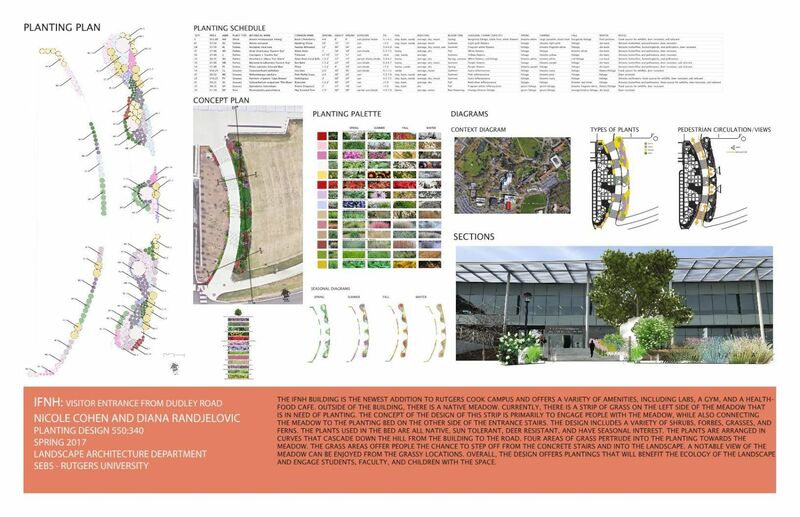 By assistant professor Holly Nelson, associate professor Jean Marie Hartman, and assistant research professor Christina Kaunzinger – Department of Landscape Architecture. Twenty-five Landscape Architecture Planting Design students designed a garden that creates a transition between the meadow and the entrance stairway on Dudley Road at the Institute for Food, Nutrition and Health (IFNH). The new garden’s native plant palette compliments and enlarges the list of plants in the meadow. Grasses and perennials are planted in large drifts in the new garden, creating a more constant edge to offset the orchestral, more seasonally-dependent meadow species. Semicircles of turfgrass provide lookouts for observing meadow pollinators. 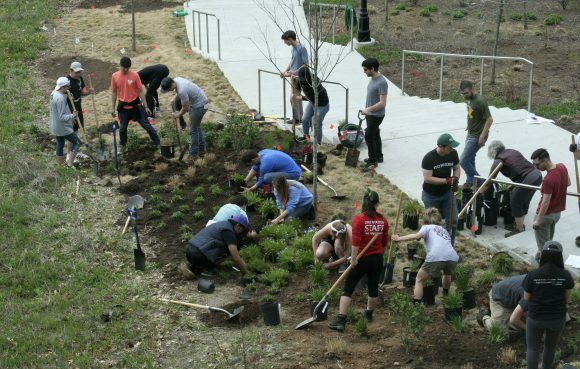 The meadow is one of Rutgers newest campus living laboratories. 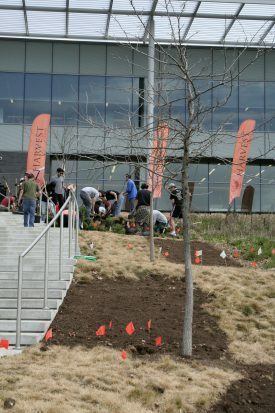 Living Labs use campus landscape and facilities to demonstrate sustainable practices (rain gardens, solar panels, healthy dining at Harvest Café); serve as outdoor classrooms (arboreal plant libraries, Rutgers Ecological Preserve, Cook Student Farm); and support experimental and observational investigations (meadow maintenance best management practices, Raritan River water quality, climate studies). Preparing the beds for planting. Experiential learning is a core component of Living Labs. The students who planted the garden installation at IFNH took their design drawing and literally brought it to life. Taking into consideration plant species to transition aesthetically from the mixed border on the west side of the stair to the meadow on the east—using seasonal interest and color, plant heights and textures, hydrology, plant competition and wildlife needs—students calculated the exact number and position of over 400 plants which were laid out on-site and adjusted prior to planting. Circles on a piece of paper became a garden in 3 class periods. 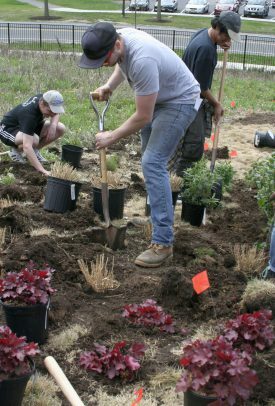 Next year’s class will assess design success, including plant survival and weed growth in plots with different soil preparation protocols. Living Lab installations encourage interdisciplinary interactions. 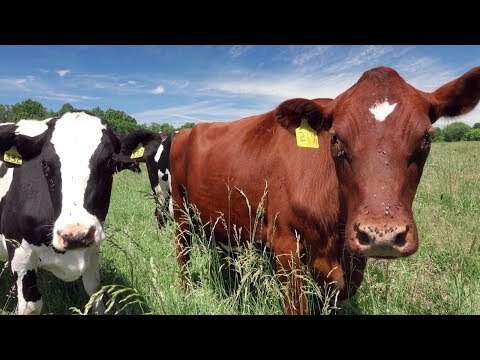 Rutgers-bred fine fescue, tall fescue and Kentucky bluegrass mixes are featured in the turfgrass lookouts. 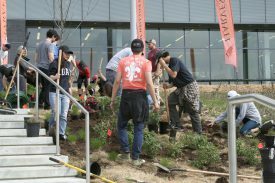 Plant biology and turfgrass program professor Jim Murphy taught the landscape architecture students about turf selection—he expects the tall fescue to do best on this hot, dry site—and installation. Grounds operations staff Pat Harrity and Tony Sgro, facilitated the successful incorporation of this project into the campus landscape by contributing to design guidelines, delivering feedback in the design review, and providing equipment and personnel support during the project. 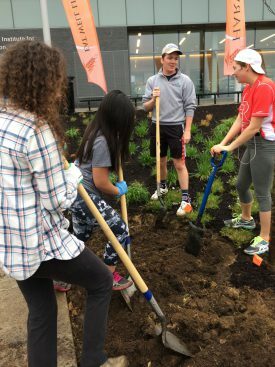 Summer interns will work with ecology and landscape architecture professor Jean Marie Hartman to monitor change in the meadow over time. Last summer Allison Severino (SEBS’17) visited weekly and created a collection of photos along with a plant identification list. This year’s pictures could include the birds that visit and eat the plant seeds. 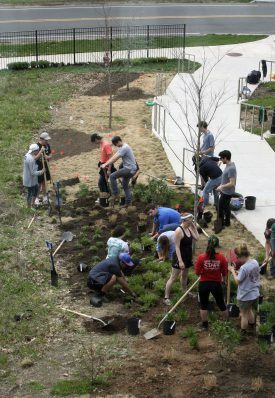 Experiments on weed and nutrient control will inform management protocols that support the meadow transition from scattered annual flowers and grasses into a dense, resilient landscape that infiltrates stormwater, controls erosion, provides wildlife resources and improves campus biodiversity. 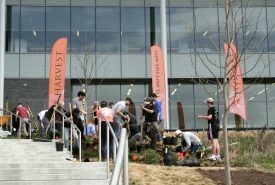 Last year the Planting Design class installed the amphitheater garden to create a student social space at our new campus hub. 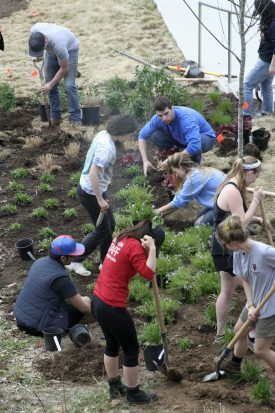 Professors Holly Nelson and Christina Kaunzinger want this year’s plantings to attract more birds, butterflies, and people to enjoy and learn from the campus meadow—the “front door” to the School of Environmental and Biological Sciences.